DIY Orthodontics – the dangers that you face. 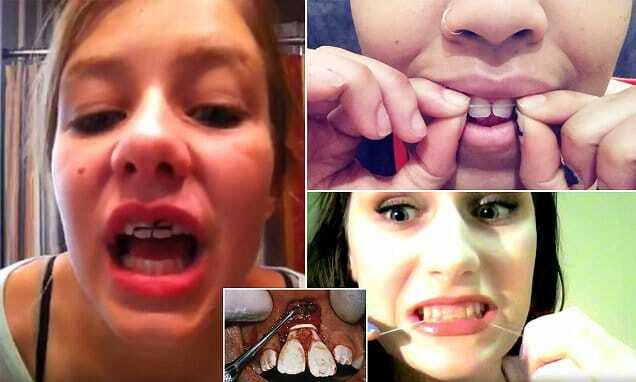 These are just a few of the reasons that some people are taking the DIY trend to the extreme and DIY’ing their own orthodontic treatment. NO. No no no no no. I cannot emphasize this enough, NO! Some of the ‘quick fix’ techniques we are seeing are everything from rubber bands and dental floss used to close gaps, modeling clay retainers, to ‘make-your-own’ braces with paperclips…yes, you read that right. PAPERCLIPS. These procedures have been popularized on social media, showing young adults utilizing these ‘at home’ techniques to move their teeth without the personal evaluation and care of an orthodontic specialist. There are so many health hazards that are posed when you attempt ANY kind of medical treatment on yourself without the direct supervision of a trained professional. There is a reason orthodontists spend thousands and thousands of hours going to school, then attend educational course throughout the rest of their career. So that you can receive the best treatment possible with the lowest risk of irreversible damage. DIY orthodontics isn’t the same as remodeling a room in your house, or coloring your own hair. If either of those doesn’t work out as planned, all you have to do is call a professional and have it fixed. If your DIY orthodontics goes south, you may end up paying thousands of dollars to fix the problems or by the time you recognize the problem, it could be too late for even a professional to fix. We realize that the cost of orthodontics is a leading cause of people attempting to fix their misalignment on their own. Here at Flanagan Orthodontics we can work around just about any budget and down payment. Flexible payment plans are kind of our thing. For patients who cannot afford orthodontic treatment, the American Association of Orthodontics has created a national program called Donated Orthodontic Services (DOS) that can help qualified low-income children receive orthodontic care at a very minimal cost. Orthodontists across the country routinely donate their time to treat children in need. So put down the rubber bands, use the paperclips on paper, and call us. Nothing is worth losing your teeth over. Give us a call today to set up your FREE Smile Evaluation and consultation with me and my amazing staff and get the smile that you deserve!